Extensibility covers a broad spectrum of topics that allows customers and partners to adapt standard business software to their business needs. It ranges from business configuration; layout adaptation of user interface (UI), forms, and reports; custom fields and logic; integration; and custom terminology and translation to customer-specific applications. 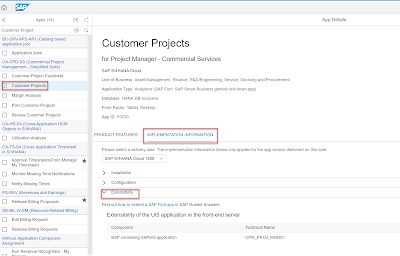 Extensibility in the SAP S/4HANA suite can be categorized into two main parts: side-by-side extensibility through SAP HANA Cloud Platform and in-app extensibility through built-in capabilities. 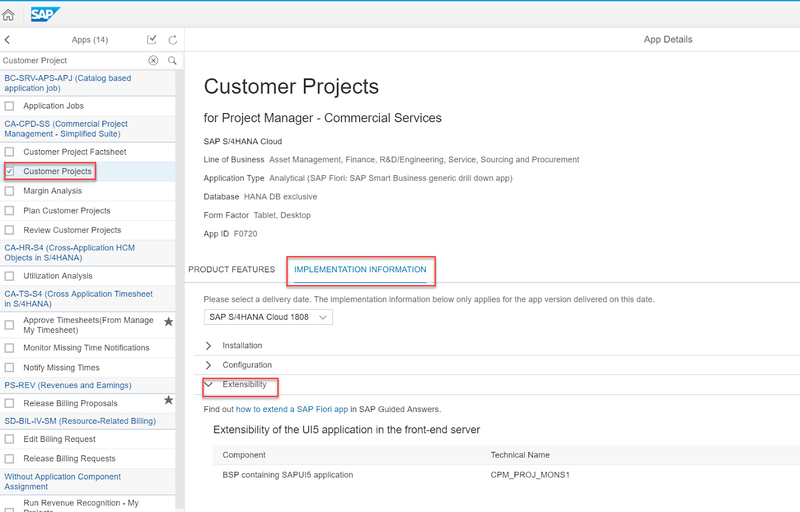 This document will focus on demonstrating key user extensibility: how to consume the custom field in your custom CDS view and custom Analytical Queries. In my demo to create custom fields, I am taking an example from “Customer Project” app. Using this app, I intend to bring a customer specific field that I could later consume it in my custom CDS view and can further be exposed as OData service or may be bring them into custom Analytical Query for further reporting capabilities. 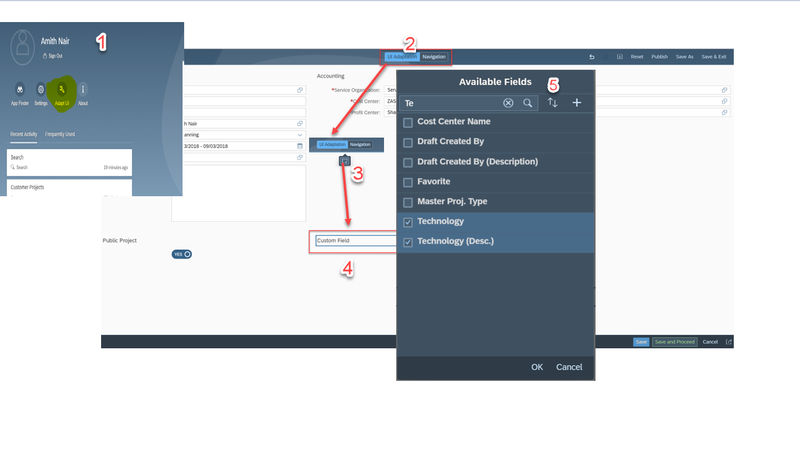 If the specific app indicates the extensibility of UI5 application in the front-end server, then the app is extensible. Since I would like to have drop down option for the custom field- Technology I chose ‘Code List’ as Type under General Information and added values that include Artificial Intelligence, Big Data, Business Intelligence etc. Now, under the tab strip UI and Reports, I will enable the appropriate data sources that are required while creating the custom CDS views. In order to identify what specific pre-defined views are available, one need to make sure the data sources are explicitly selected from the cog wheel as shown in the figure below. Now, I have published the custom field- Technology. 4. I renamed the group Icon to Custom Field my example as shown in the screenshot below. 5. 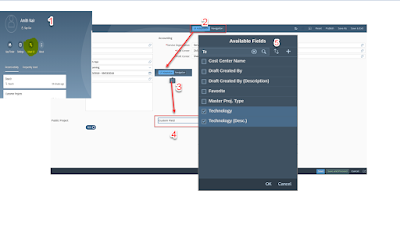 Right click on ‘Custom Field’ and select add field from the available fields, select ‘Technology’ as this is the custom Field I wanted to bring into this app. Fill the mandatory fields in there along with the new custom field you have added to validate how data gets populated for the reporting purpose. Now, I will create a custom CDS view using I_EngagementProject as this was one of the data source enabled during the creation of custom field. Custom CDS view name: YY1_Project_Sample and selected Analytical (described in the below section)as an option which could be later consumed in custom Analytical Query app. I have additional fields added to make the reporting looks more meaningful, which is available on the right section of the above image. When previewing the newly created custom CDS view- yy1_project_sample, I will see the new custom field as well getting populated. Name the Query: YY1_Project_sample1 and select the Data Source, in this case it will be the custom CDS view that I just created. Select YY1_Project_sample from the Data source section. 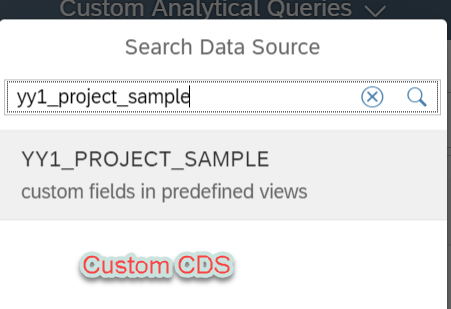 Note: While creating of custom CDS view, please make sure the analytical option is turned ON, otherwise, the same custom CDS view will not be available for creation of Custom Analytical Query. You will notice all the fields that were part of selection in custom CDS view to reflect in the Custom Analytical Query as well. Here as well, you have the option to pick and choose the fields that are need for your reporting capabilities. In ‘Display’ option, there are several arithmetic operations that can be carried out as well. Save the draft and Preview! Drag and drop the fields in the ‘ROWS’ tab to better analyze the data. And you could see the custom field- Technology as well getting populated with the data that was entered for demo purpose. 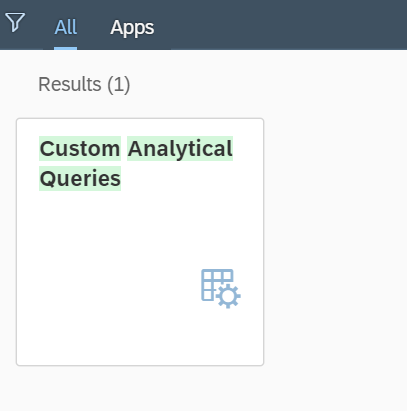 In my next blog, I will be focusing on Fiori Apps that are not extensible however, we still could create custom fields and expose them in custom CDS view and build Custom Analytical Queries and many more with new extensibility features.